Simply Wild Salmon Oil is naturally nutrient-rich and full of omega fatty acids that help to improve your pet's overall health. Omega fatty acids are naturally anti-inflammatory and can promote healthy joints. Fatty acids improve health in many ways, including providing flexibility and fluidity all the way down to the cell membranes. 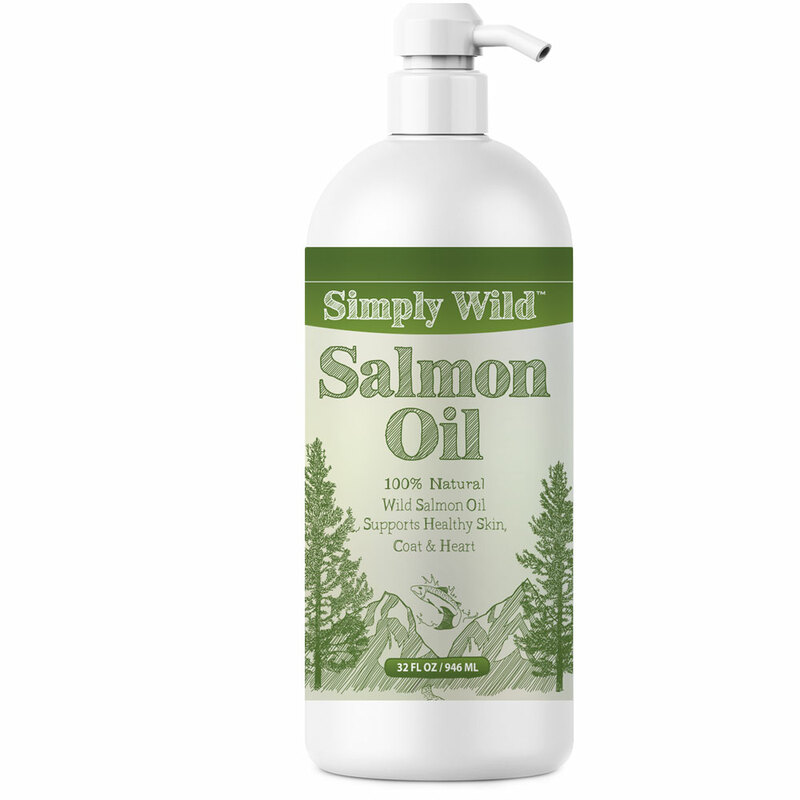 Simply Wild Salmon Oil has long chain Omega-3 fatty acids that have higher immediate bioavailability than Omega-3 fatty acids from plant sources. 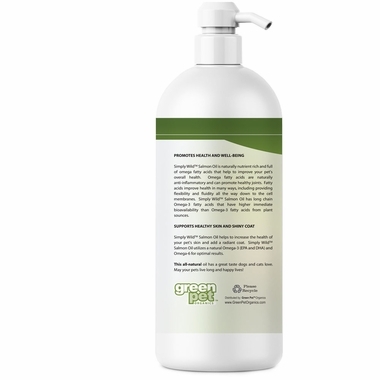 Simply Wild Salmon Oil helps to increase the health of your pet's skin and add a bright coat. 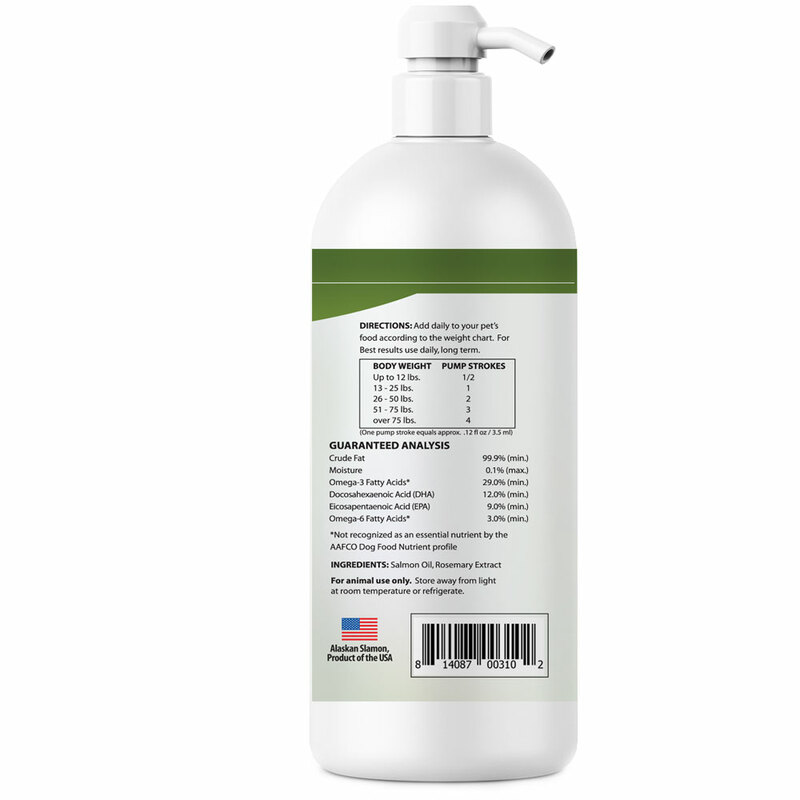 Simply Wild Salmon Oil utilizes a natural Omega-3 (EPA and DHA) and Omega-6 for optimal results. This all-natural oil has a great taste dogs, and cats love. May your pets live long and happy lives! Add daily to your pet's food according to the weight chart. For Best results use daily, long term. Our Husky did not enjoy having six large pills shoved down his throat everyday. The Salmon Oil provided a break from pills and was easy to apply to his dry food and he loved the flavor. The liquid offered more oil and we noticed an improvement with his coat and skin. I wish we'd found this product sooner. ProsEasy to apply to dry dog food or serve as a topping with wet dog food. ConsLike any oil, there's an extra need for clean up after every meal. I have had a problem with shipping this item. This vendor ships in a plastic bag, which does not provide adequate protection and the packaging breaks and spills salmon oil. The first time it happened, the community mail box had oil in it, as did the sidewalk and my front porch. The second time, the mail carrier brought the leaking bag to my house rather than put it in the community box. The product needs to be packed in a box with packing materials that protect the plastic pump from breakage. I reported this to the vendor, but have not received a response. This has made the skin on my dog so much better. She is not licking her skin and she loves the taste of the salmon oil You have to try a number of doses before you get the right one. .
Works to keep their skin in good condition, keeps their coat nice and shiny and they LOVE the taste. I use it for 2 dogs with allergies and it really does help sooth their skin as part of their over-all treatment program.